A superior machine generates a superior product! Most Enagic® machines generate 5 different types of pure ionized water that range on the pH spectrum. These waters can be used in your entire household for a variety of purposes – hydrating, cooking, cleaning, sanitizing, beauty care, and more! 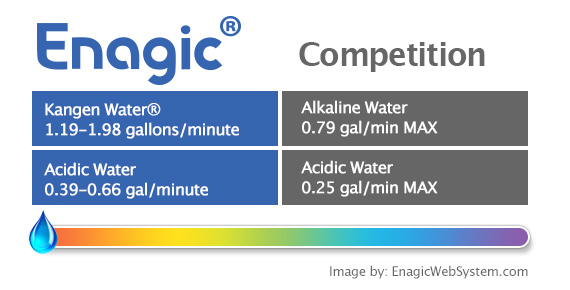 Enagic®’s competitors may also claim to produce 5 types of water, but the pH range is much more limited! For example, the sanitization and disinfecting properties of Strong Acidic Water are extremely powerful at pH 2.7, but the competitor’s product can’t get any lower than 3.0-4.0pH. Ex-NASA Scholar explains Age-Reversal With Kangen Water. I hope you found the 1st Myth Busting post extremely informative and educational. Now it’s time to move on to Part 2 of our Myth Busting endeavors! Let’s look at a few more False Claims floating around the internet, and dig down to the Truth of Enagic® and Kangen Water®! 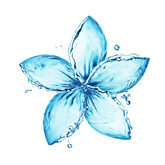 ALL electrolysis water devices have the same recognition from the Japan Ministry of Health. Enagic® hasn’t received any special awards, certifications, or recognitions. I’m not sure who started this rumor, but consider it busted. Enagic®’s devices are licensed medical devices and have been granted a license number by the Japanese Ministry of Health and Welfare (License Number: 27BZ006010). In 2002, Enagic® was individually recognized by the Japanese Association of Preventative Medicine for Adult Diseases, a renowned medical association. In 2007, the Enagic® Osaka factory acquired ISO 13485 (medical equipment), ISO9001 (quality control), and ISO14001 (environmental management) license recognition. The companies selling cheaper water ionizers do not have Japanese approval or even the recognition in their own country as a medical device. Please consider this fact VERY carefully before you purchase a machine for you and your family! Enagic® Kangen Water® machines have no benefits or advantages over the cheaper models on the market. Medical Device Recognition – See Myth #5 above! 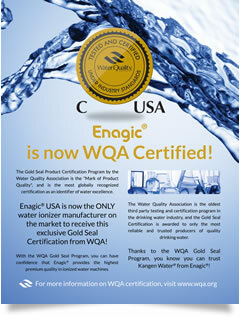 Water Quality Association Certification – Enagic® is proud to be one of the only water purification and ionization companies in the world that carries three distinct certifications from the Water Quality Association (WQA) – one of the oldest and most prestigious international not-for-profit trade associations in the world. 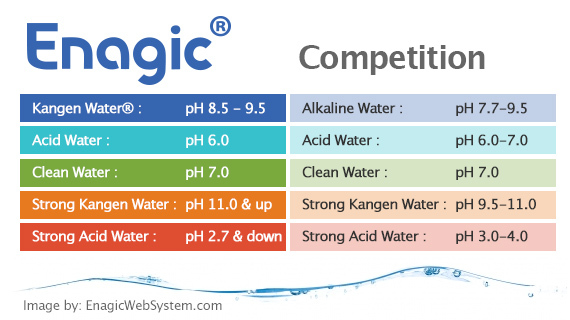 Production Rate – Kangen Water® machines produce alkaline water and acidic water at much more powerful rates than the competition. Service – Enagic® is the only water ionization company that offers global repair and support service. Only Kangen Water® machines can be serviced in the United States, Canada, Mexico, Germany, Italy, France, Romania, Portugal, Japan, Hong Kong, and Taiwan. Only 200 companies have qualified to be members of this elite Association, and Enagic® is honored to be one of them. Year after year, Enagic® has shown a deep commitment to the DSA’s mandatory Code of Ethics that sets them apart from every other company in the industry. Enagic® machines are more expensive because the company pays 8 different MLM distributors for each sale. Enagic® pays “8 points” per sale, not 8 people. Distributors are awarded anywhere from 1-6 points each (I would LOVE to explain this more if you’re interested!). For this reason, the company usually pays 2 or maybe 3 distributors per machine sale – the distributor who sold the machine and his mentor(s) who helped train him. This is no different from any other company that compensates the various people along the chain that helped make that sale possible. You AREN’T paying for the expenses of a retail store, marketing fees, and advertising costs. This unique method of marketing is what our founder Hironari Ohshiro calls “Human Based Marketing.” It is a powerful way of sharing life-changing technology, person-to-person, without the need for a retail corporate chain. This provides YOU with the ability to share the wonders of Kangen Water® with your friends and family and, in doing so, receive a “Thank You Check” from the company – effectively paying for your machine! So why ARE Enagic® machines more expensive? Enagic® machines are made by hand – 1 technician per machine! They are meticulously scrutinized to meet the highest medical-grade standards in the industry. Higher quality (and quantity) plates + higher codes and requirements = premium product. You’re paying for the GOLD STANDARD in Water Ionization! Please remember that Enagic® offers affordable financing so EVERYONE can get a Kangen Water® machine in their home right away. You don’t have to make a large upfront purchase to start optimal hydration for your family! 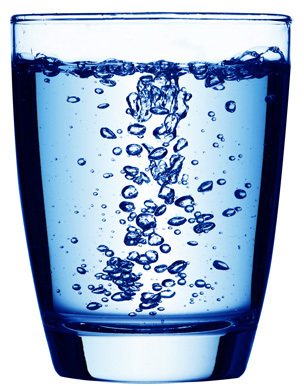 When you want true quality ionized drinking water, there’s only one place to get it… Enagic®. Why else do you think so many ionizer companies compare themselves to the Enagic® Gold-Standard? 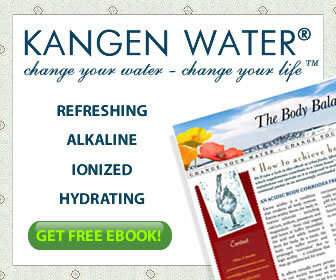 Call me today or reply back to this email for more information about purchasing a Kangen Water® machine! There is more to this story and I would love the opportunity to share it with you. Will I get the same health benefits from all water ionizer machines? 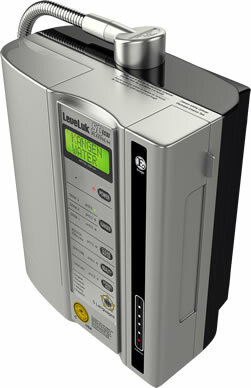 Do you have question about the purchase or use of a water ionizer for your home. Are you looking for the right information about Water Ionizer. 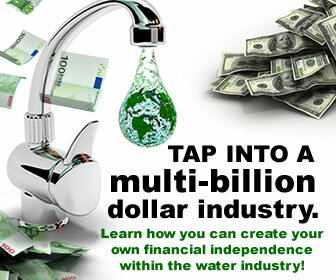 I have over 4 years of training in the water ionizer industry. I can advise you about the right system for your health. How do water Ionizer’s work? Does Plate size really Matter? Does Third party certification Matter? Is Kangen water worth the Money?